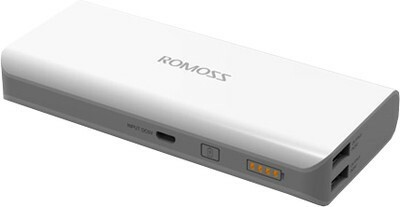 The Romoss Solo 5 Power Bank boasts of a 10000mAh capacity--just enough back up energy for when you need to make calls or emails. 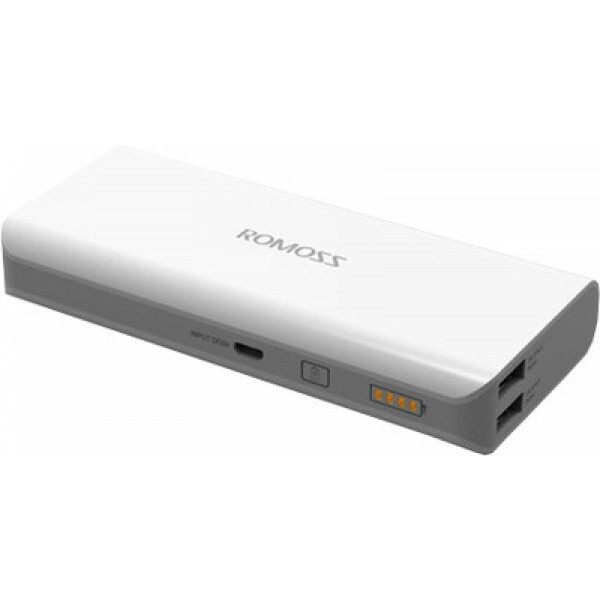 The Romoss Solo 5 Power Bank boasts of a 10000mAh capacity--just enough back up energy for when you need to make calls or emails. With this nifty device, you can stay entertained watching movies or listening to music all day long without worrying about running out of juice when you’re out of the house or office. The dual-output feature that allows charging for two devices ensures you power for more than just one of your gadgets. And with the Romoss Solo 5’s multi-protective circuit design, your smartphone or tablet is safeguarded from overcharging or overdischarging. Once you’ve exhausted charge from the Romoss Solo 5, you can easily charge the power bank using your device’s charging cable and adapter for 13 hours. Today’s fast-paced world requires that you stay connected and on top of your game every time. Make sure that your phone continues to work and play with you with the help of the Romoss Solo 5 Power Bank.